UK Aid workers in Nepal. Image, DfID, fair use. 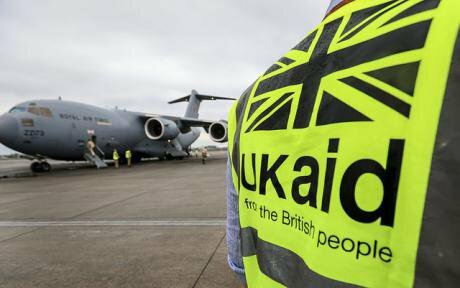 The International Development Committee, which I chair, found sexual exploitation and abuse of aid recipients by aid workers and peacekeepers has been an “open secret”. The sector requires reform, from funders to aid deliverers. Victims and survivors must be at the heart of any response. Our initial inquiry was in reaction to the Oxfam Haiti expose. However, we heard that sexual abuse of beneficiaries by aid workers and peacekeepers is more widespread, with cases in many countries. The range of offences included extreme sexual violence and manipulation, often of children. We heard of a “culture of denial” within UN and aid organisations, fewer resources for safeguarding, complainants being ostracised or sacked and victims feeling penalised. In 2002, a United Nations report uncovered allegations of sexual exploitation and abuse of refugees in several African nations. Forty aid agencies, and nine peacekeeping battalions, were implicated. The scandal made international headlines. Further reports have uncovered similar abuses by UN staff, humanitarian workers, contractors and local staff across many countries. Common themes were under-reporting of incidents and flawed case management. Most recently, a 2018 report on Syria said “sexual exploitation by humanitarian workers at distributions was commonly cited by [study] participants as a risk faced by women and girls when trying to access aid”. More often than not, it was “powerful men as gatekeepers to food, shelter and security” exploiting and abusing “women and girls because they are powerless, they are vulnerable and they are voiceless”. We know that most aid is delivered by dedicated, hard-working individuals in very challenging environments. But the whole sector is tainted by a few who abuse their position and power. The aid sector’s response has been poor, with more concern for reputations than victims. Policies, codes of conduct and other measures are developed but never effectively implemented. There is a worry in the sector that transparency about incidents leads to reputational damage and loss of funding. This in turn affects their ability to deliver aid. However, ignoring or hiding the problem doesn’t make it go away. What needs to change? We need both a cure and prevention. Empowering beneficiaries is crucially important, not least to encourage more reporting. There needs to be some form of staff vetting and screening to root out previous perpetrators. Those perpetrating the abuse must be held to account. Critically, victims and survivors of sexual exploitation and abuse must be the priority. Without a victim and survivor centred approach “you are designing a system in a vacuum that, essentially, nobody will use”. We welcome indications that the voices of victims and survivors will feature prominently at DFID’s autumn international safeguarding conference. We must ensure the experiences and views of victims and survivors are also embedded into future decision making over both policies and practicalities. The key is improving reporting mechanisms to understanding each case, respond to them, and ultimately, resolve them. Practitioners have developed “two decades of recommendations”. Now, resources are needed to back them up.